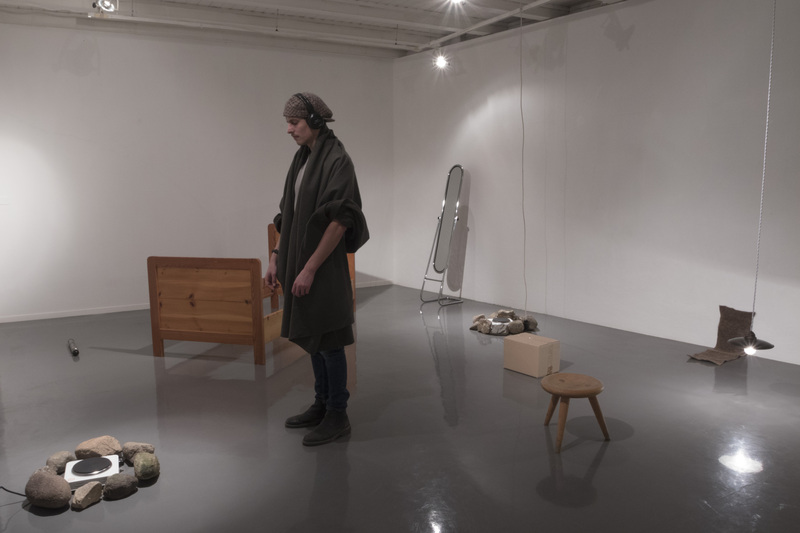 In “Secret Block”, a tribute to Joseph Beuys, the public take part in a group rite whose symbolic features bring out a magic, primordial, almost sacred quality. Various objects and materials are strewn about a space that resembles the inside of a cave. Through headphones the visitor is given instructions and information by which to interact with them. The idea of a hearth is conjured up by electric plates, while a voice-over speaking of real objects and imaginary sculptures triggers a vision of the invisible as the culmination of a process by which the senses are reconfigured.